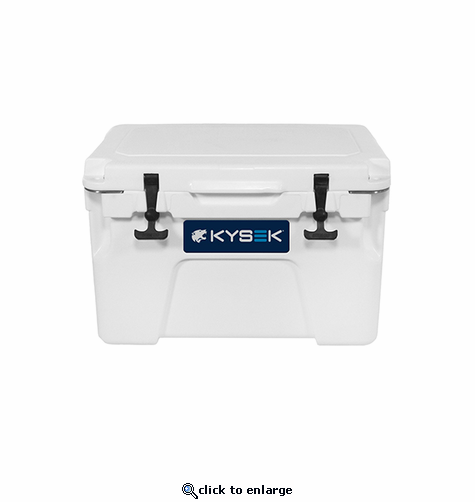 It's the product that started it all, KYSEK The Ultimate Ice Chest! Engineered using the latest cooling technology and cutting-edge features, our cooler maximizes frigid temperatures to keep your goods colder longer. John, an avid outdoorsman, was unhappy with every ice chest he had purchased over the last 30 years. Even the new, high-end rotomolded coolers, which possessed great individual features, failed to put everything he wanted together in a single product. John set out on a journey to create The Ultimate Ice ChestTM - one that would hold ice longer, provide both toughness and functionality, and combine all of the great attributes of the best coolers into one. Never a gentleman to shy away from a challenge, John took things a step further setting out to actually improve on these features while adding even more. Thus, Extreme Cold, LLC was formed. John and his team set out to engineer the perfect ice chest. They studied the competition, destroyed lids, busted hinges and spent several years developing numerous prototypes to finally reach their goal: The Extreme Cold Series Ultimate Ice Chest. This original ice chest was amazing and when people saw, touched and used it, they realized the significant leap this cooler made over its competitors. However, it was still not up to John's high standards and he went on to create an even better ice chest that most people agree is the "Italian Sports Car (you know the one) of Ice Chests." It's loaded with all the features you want and more: Dual drain plugs, lock down edges that double as bottle openers, ZeroSkidTM non-slip feet, DuroColdTM Construction and heavy duty inset wheels to help you steer clear of those pesky hernias or slipped discs. John renamed the product KYSEK the Ultimate Ice ChestTM and created our White Wolf logo, which represents our ruggedness, wild nature, top-of-the-food-chain mentality and pack-like approach to solving your cooling challenges. Check out all our features along with the complete line of KYSEKTM accessories that make this The Ultimate Ice ChestTM.